The species was described based on holotype that collected from North Vietnam, recently they also found in Southern mountain forest of Vietnam and Laos as well. 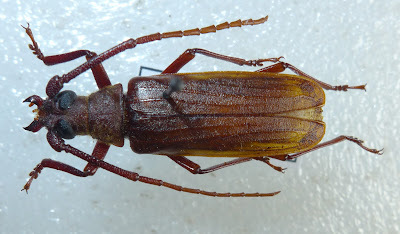 In publication by Do, 2015 of the genus, author proposed the species related to A. curnecornis from Myanmar because similar in structure of antenna. Evolution of two species of the group were proposed independent in Indochina area where separated from fauna of Indonesia-Malaysia lands. They are medium size insects, male and female quite similar in shape. Southern individuals somehow larger than species found in North Vietnam.